Each Client is our Most Important Client! 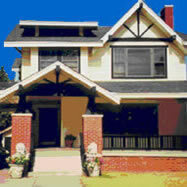 "The Thetford Law Offices have been in the same location in this historic building for more than 20 years. It is located just northwest of downtown Oklahoma City in Midtown near the historic Heritage Hills and Mesta Park neighborhoods." The Law Offices of F. William Thetford, located in Oklahoma City, Oklahoma, serve injured people in the Oklahoma City metropolitan area and throughout Central, Western, and Southern Oklahoma. We have a toll free number for your convenience, and are available 24 hours a day, 7 days a week. Whenever I have friends who have been injured, I always say that my friend and lawyer William Thetford, and Rachel Thetford, go for the main artery and go for blood. They do not stop. I’ve known Mr. Thetford since first coming to him for help over 27 years ago. He has helped me on several injury cases, both auto accidents and on the job, and on any legal matter he always points me in the right direction. I am very pleased with my settlement and would recommend him to anybody. We help people who have been injured, and the families of those who have been killed, by the negligence or careless acts of others. Many years ago we made a decision to limit the size of our practice to ensure that we have the time and resources to devote personal time to each client, giving each client the attention he or she deserves. But be assured, we have the experience and financial resources to get you the justice you deserve. 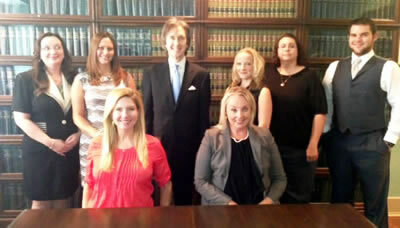 Our attorneys and staff take the time to get to know you and understand your situation and concerns. We will always be there for you. We stay in touch with our clients, and go the extra mile for them. I greatly appreciate your help in what was a difficult case (job injury). Your entire staff was always courteous and greeted me with a warm welcome. I was pleased with my settlement and would recommend you to anyone. We focus on auto accidents, personal injury, and workers’ compensation cases. This allows us to maximize our skills and experience so that we can provide the best representation possible. We have been helping injured people since 1984. While our firm focuses on helping injured people, whether it be by on-the-job injury, car, truck or motorcycle wrecks, dangerous products, wrongful death claims, medical malpractice, social security, insurance bad faith, nursing home claims and other personal injuries caused by the negligence of others, please do not hesitate to contact us on any legal matter. If you or a friend need help for other types of legal problems such as bankruptcy, criminal defense, divorce and family law, wrongful termination or other legal problems, please contact us and we will see that you find the right attorney whom we know, trust and associate with to help you. Why Do I Need an Experienced Personal Injury Lawyer? When you need routine medical care, your needs can be met by the general practitioner. But when a serious complication arises, you go to a specialist who has that particular expertise. Law is no different. Not every licensed attorney is skilled in auto accident, personal injury, and wrongful death cases. When selecting a lawyer to help you get compensation for your injuries, you need a knowledgeable, experienced personal injury attorney. One who knows the law, the insurance companies, and how to investigate and prove auto accident and personal injury cases. We are experienced, skilled Oklahoma personal injury attorneys, and can help you get the best possible result in your case. Find out more about what we can do for you by visiting our Auto Accident, Personal Injury, and Workers’ Compensation pages. You may also want to look at our Attorney Profiles. Our mission is to provide quality legal services in those areas where we can effectively utilize our special skills for the benefit of our clients. We strive to serve our clients in a timely manner, within budget, and consistent with our clients' needs and expectations. We are committed to continuous improvement through listening to our clients and our own personnel, and acting upon their comments in order to improve current and future services. 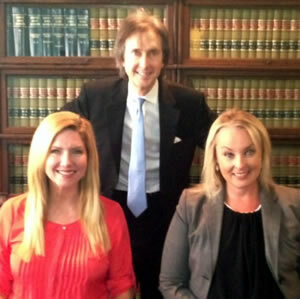 We made a decision many years ago to limit the size of our law firm and the number of cases we take. That way we make sure that every client receives prompt, courteous and competent attention to his or her case. Don’t delay – find out your rights as soon as possible. Let us help you. Please contact us for a free initial consultation to discuss your situation. Call 405 235-9229, toll free 800-725-9229, send email to b.thetford@thetfordlaw.com or complete our online form. Mr. Thetford's Law Office was very helpful in getting all the money that I deserved for my car wreck. Everything worked out just fine. Thank you.